Technology has evolved so rapidly that advances have been integrated into our way of life naturally and almost without our realizing it. Faced with an increasingly mobile and social world, organizations’ needs have also changed. No one doubts that communication and collaboration are absolutely necessary in today’s digital economy, enabling the exchange of information easily and quickly. Tablets, smartphones and laptops are present in every moment of our lives. Every day more employees work remotely using mobile devices, with access to data, applications and people from anywhere and at any time. But the true value of mobile collaboration, beyond the use of devices, is the embodiment of more work at lower cost, and the ability to have more flexibility without being physically in the same location. 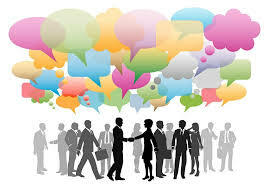 Below I list the top 5 reasons, in my view, why businesses need mobile collaboration. You need only to look around to realize that our mobile phones have become an appendage of our bodies. We use smartphones for most of our daily activities: meetings, appointments, group meals, sporting events, news and even watching TV. As a result, we check our cell phones more than 220 times a day—far more than we use any other device—making mobile an ideal place to consistently communicate and collaborate. There are now 7.22 billion mobile devices in the world—that is more mobile devices than people on earth—and 70 percent of the world’s population will have a smart phone by the year 2020. As a result there is a new trend in business allowing employees to “BYOD” (bring your own device), and many organizations have adopted this philosophy for employees who wish to use their own devices both in the office and beyond. This has seemingly increased commitment and employee satisfaction, while being able to access corporate information at any time and from any place has allowed employees to communicate, collaborate and continue their work in the manner and place they deem appropriate. Organizations that are more global, increasingly decentralized and have more people in a mobile environment require collaboration solutions that connect people in all areas of the world. Not only can we work from home, but also from the bus, from the subway car, while we wait for the doctor, or from elsewhere. We can work on documents, hold meetings regardless of device or location, and collaborate efficiently, without much extra effort, sharing information in real time. This group represents the first generation to grow up with the use of technology throughout their lives. 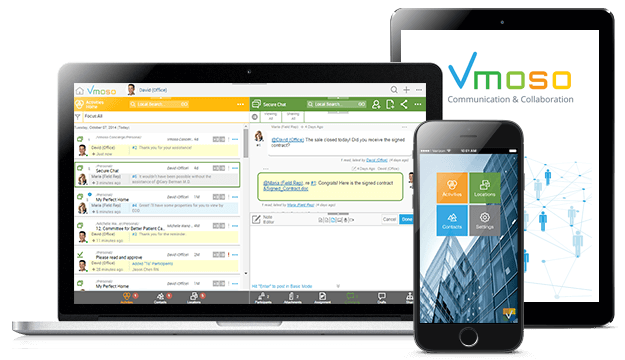 They may expect to connect, communicate and collaborate with colleagues, partners and customers in a transparent (and mobile) manner at all times. According to Deloitte, this generation will account for 75 percent of workers worldwide in 2025. Therefore, companies should bear their work styles in mind and provide an appropriately flexible work environment to help all generations of employees to work together, collaboratively and productively. Mobile collaboration enables access to colleagues and the exchange information swiftly, safely and effectively both inside and outside the company. This is achieved by providing employees with the relevant information at the right time and place to help employees achieve business goals efficiently, completing more tasks at a lower cost. Studies show that by facilitating effective communication and collaboration, it is possible to eliminate 75 percent of the time wasted by employees finding the correct information, duplicating communications, scheduling and attending unnecessary meetings, and receiving unwanted communications. The ubiquity of mobile devices, a new generation of digitally savvy employees and the consumerization of communication and collaboration solutions, which have been used outside the workplace, make mobile collaboration no longer simply an option. Instead, mobile collaboration is now a business necessity with the potential to greatly improve business performance. Looking for other ways to transform your workday? Read 5 Steps to Improving Workplace Communication through Transparency and Accountability for long-term fixes and Work More Efficiently by Turning Off Your Notifications for changes you can make right now!